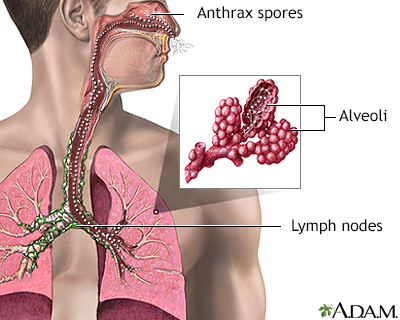 Hospital-acquired pneumonia is an infection of the lungs contracted during a hospital stay. This type of pneumonia tends to be more serious because patients in the hospital already have weakened defense mechanisms, and the infecting organisms are usually more dangerous than those encountered in the community. Hospital patients are particularly vulnerable to Gram-negative bacteria, which are resistant to many antibiotics, and staphylococci. 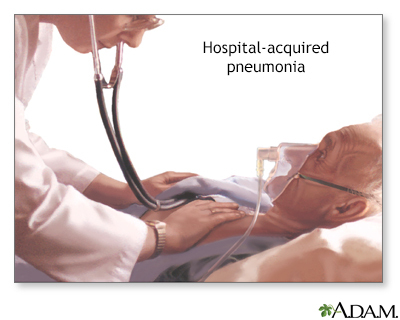 Hospital-acquired pneumonia is also called nosocomial pneumonia. A subgroup of hospital-acquired pneumonia is VAP, a very serious infection contracted by patients on ventilators in hospitals and long-term nursing facilities. 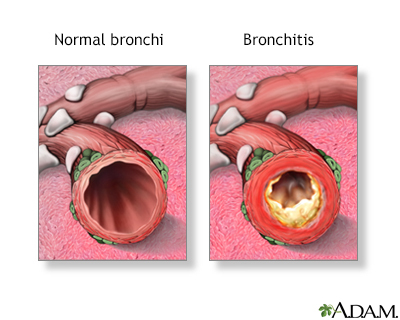 Pneumonia acquired in a nursing home or other long-term care facility is the second most common type of infection in these facilities, and it is usually bacterial. 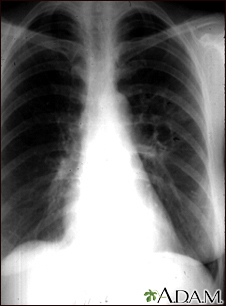 This type of pneumonia is sometimes difficult to diagnose as older populations are less likely to report fever, chills, and chest pain. 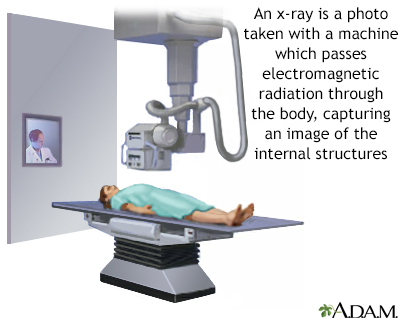 Chest radiography and physical exam are necessary. 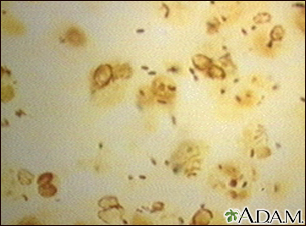 Sputum sample and antigen tests may be helpful. 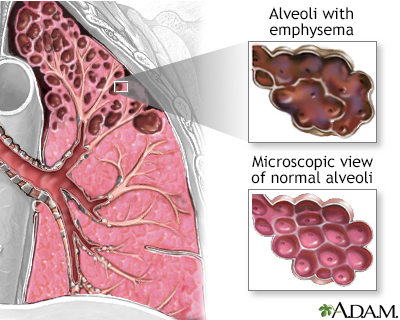 , the smallest of the blood vessels, which surround the alveolus. When you take a deep breath, the membrane unfolds and expands. 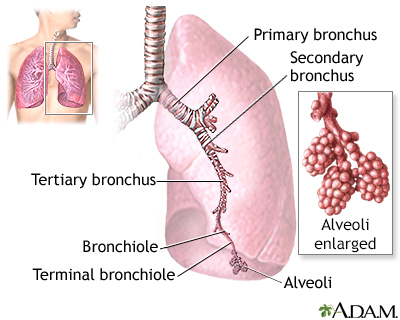 Fresh oxygen moves into the blood stream in the capillaries, and carbon dioxide passes from the capillaries into the air in the alveoli, where it is carried out of the body through the lungs. The influenza virus is the most important cause of viral pneumonia. 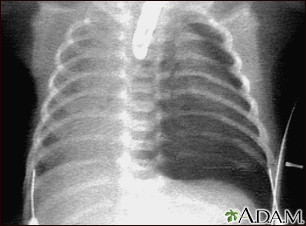 In some cases, bacterial pneumonia can also develop as a complication of influenza. Both types of influenza-related pneumonias can be very serious, particularly for older people and people with heart disease. It can develop about 5 days after flu symptoms start. Although ordinary flu viruses are the major culprits in the US, avian (bird) flu is a worry for the future (see below). Most infants are infected with RSV at some point, but it is most often mild. However, RSV is a major cause of pneumonia in infants, as well as in adults with damaged immune systems. This virus is a leading cause of pneumonia and bronchitis in children, older people, and people with damaged immune systems. Adenoviruses are common and usually are not problematic, although they have been linked to about 10% of childhood pneumonias. Adenovirus 14 has been linked to an outbreak of severe CAP in the Pacific Northwest as well as military recruits. In adults, herpes simplex virus and varicella zoster (the cause of chicken pox) can cause pneumonia in people with impaired immune systems. 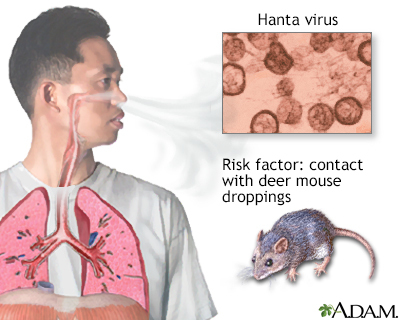 SARS is a respiratory infection caused by a coronavirus, which appears to have jumped from animals to humans. The disease was first reported in China in 2003. These viruses often cause the common cold and have been associated with community acquired pneumonia. was discovered in the Netherlands in 2001. It has been linked with pneumonia most commonly in young children and older adults. Cultures are done to determine the specific organism causing the pneumonia, but they are accurate in only 10% to 30% of cases. 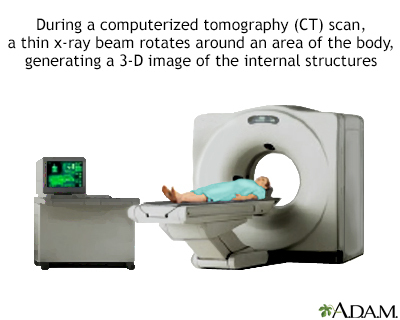 Their use is generally limited to severe cases. 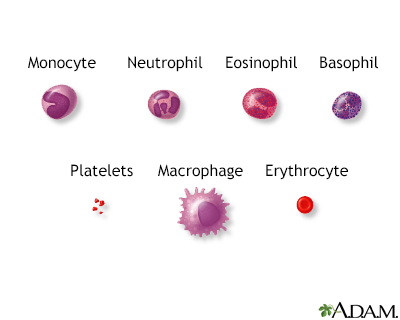 Antibodies are immune factors that target specific foreign invaders. Antibodies that react with mycoplasma or chlamydia are not present early enough in the course of pneumonia to allow for prompt diagnosis by this method. 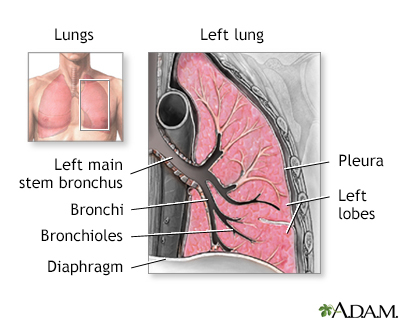 Not generally recommended but may help identify which people with respiratory symptoms have pneumonia and need to be hospitalized. Procalcitonin may also help guide the clinician in the appropriate use of antibiotics. In some difficult cases, PCR may be performed. The test makes multiple copies of the genetic material (DNA) of a virus or bacteria to make it detectable. 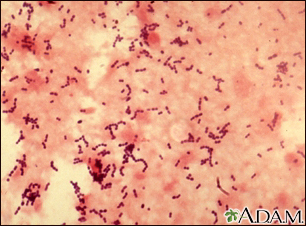 PCR is useful for identifying certain atypical bacteria strains, including mycoplasma and Chlamydia pneumonia. While expensive, a real-time PCR test may help quickly diagnose Pneumocystitis pneumonia in HIV-positive patients. may be done at the same time as bronchoscopy. 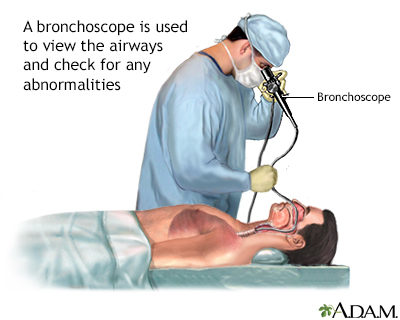 This involves injecting high amounts of saline through the bronchoscope into the lung and then immediately sucking the fluid out. The fluid is then analyzed in the laboratory. BAL is an effective method for detecting specific infection-causing organisms.